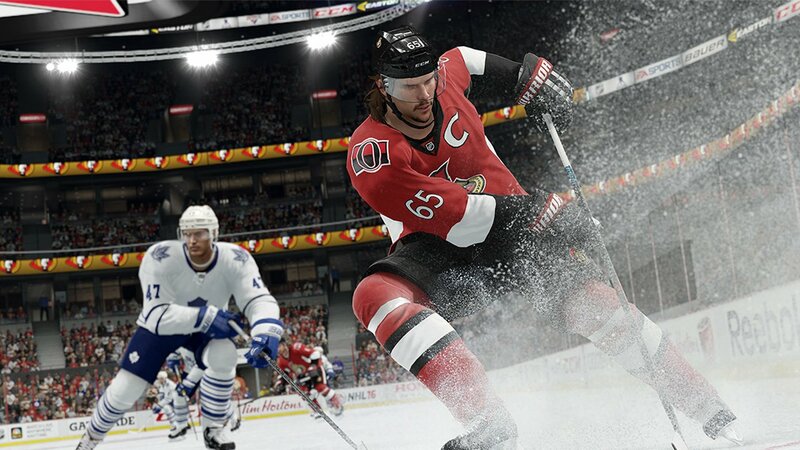 NHL 16 represents a return to form for EA Sports, as last year’s release for the PS4 was met with harsh criticism as many online features were dropped from the game. Last year’s release was visually sharp, but in the upgrade to the next-gen systems, features which had become staples for the game and for creating a thriving online community, disappeared suddenly. It meant that last year’s game left a sour taste for fans of the series, which had come to expect those features to be present. That being said, it makes NHL16 a curious game, because although yes, it brings these features back, those aren’t necessarily upgrades, just reinstatements that were left off of a previous release. 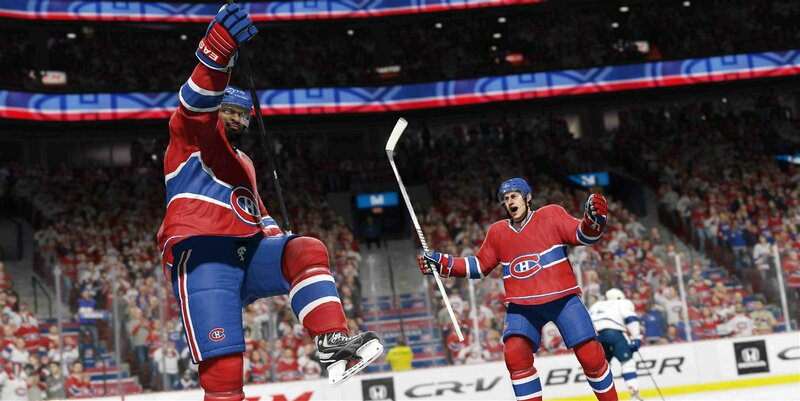 The online game modes that were missing have been restored, with some improvements along the way, with one of the biggest changes coming to the EASHL game mode, which triumphantly returns in NHL16. 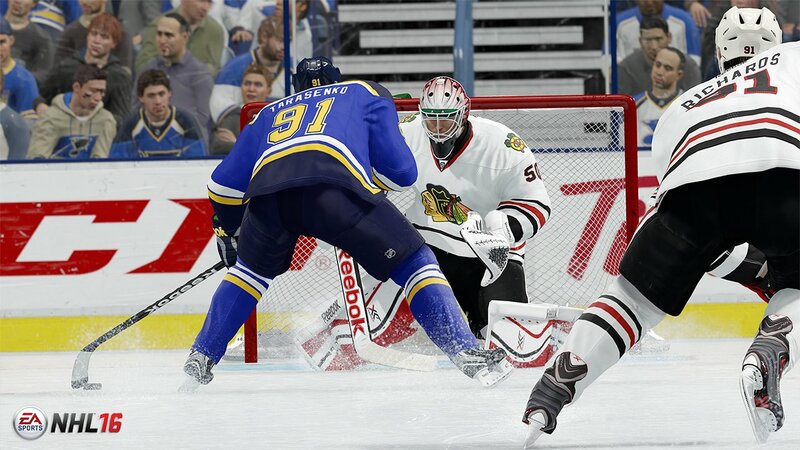 The EASHL game mode has been an enjoyable one in the past, but also frustrating for the more casual online gamer. I enjoy playing NHL, but have at times been wary of the online modes because of the need to gain XP for your player, which meant having to wade through losing A LOT because you were simply outclassed when going up against other EASHL teams. Now, just like how you would choose a class when playing Call of Duty online, you now choose a style of player, whether it be sniper, playmaker, grinder, etc, and you get a standard loadout of a character. For those who excel at the game, that may seem like a step back, but it’s also a great tool to balance the online matches, so skill is what makes the difference, rather than skill PLUS the fact that you’ve played hours and hours more than your opponents and have thus levelled up far more and have a better player. The EASHL also boasts random drop-in play, which makes it easier for players to get into playing EASHL, as opposed to trying to put together a team manually (which can be a real challenge). When it comes to playing online versus matches against existing players on your PS friends list, I did find it frustrating that once an invite was sent, I was stuck on a screen waiting for the player to respond, instead of prior releases for PS3 where you could still go through the menu system, as opposed to being stuck on a screen waiting for the player to accept (or decline). 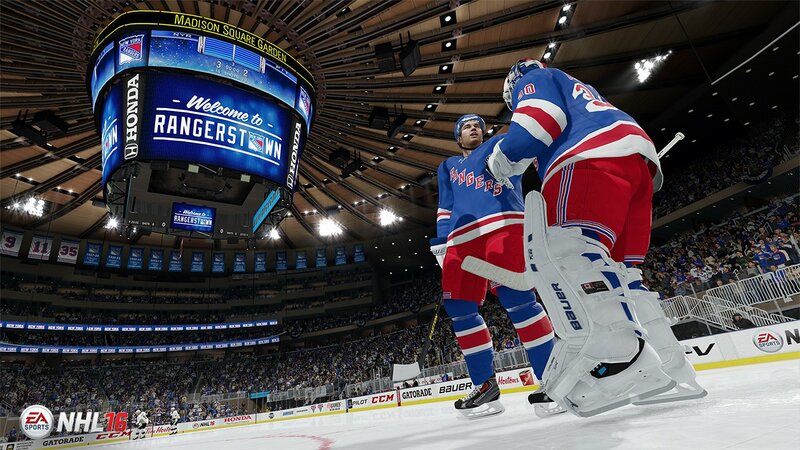 The gameplay is smooth for online play, which is a make-or-break aspect of any sports game. I’m always impressed by the online smoothness for games like FIFA and NHL compared to a game like MLB The Show, which always seems to suffer horrible lag. The biggest upgrade this year is something that initially I found very distracting and bothersome, but after more time spent with the game, I started to appreciate a bit more. I’m talking about the Visual On-Ice Trainer, which attempts to help players progress and learn more about how to play the game more efficiently at get better at it. I have to say that it feels long overdue, as the game has a steep learning curve with a lot to master. The game is also fast-paced, which can make it harder to pick up something and learn it, because of how quick the game play is. The Visual On-ice Trainer is at first a little oppressive (or at least I found it so), as it adds a lot to the screen, which can be frustrating when first playing the game and not being used to it. At times, I felt that although the hints might be helpful, they would flash so quickly that I couldn’t react to the tips. However, with time, I started to learn how to use what it was showing me to my advantage, particularly when it came to timing shots on net (although scoring remains difficult, as it should be). The trainer is definitely helpful, but I think it could be improved to not be as visually oppressive (and at times obstructive), plus it could do more than just improve your shooting and passing. Yes those are important gameplay elements, but so is defence, and I think this is an area that should have been incorporated more into the trainer (speaking as a player who has difficulty with poke-checks and stopping the opponent from getting into my zone). The fact that it would just say “lift stick” isn’t the biggest assistance. For new players, I think it’s of the most utility, but for mediocre players, it’s helpful but not quite helpful enough. Experts at the game will likely just turn off the feature. Speaking of, I did appreciate that there’s various customizations you can implement for the trainer, depending on what you want from it. If you’re pretty comfortable with figuring out when to pass, you can turn off the pass assistance, and leave on the elements you want to work on. From a simulation standpoint, the game only improves, as the arenas look more authentic than ever, with each one getting specific alterations which reflect the real-world experience at those arenas. When playing in the playoffs, the players will also now boast playoff beards. It’s the little graphical touches which make the simulation more authentic than prior years. This new iteration of NHL recovers from last year’s sizable stumble by reinstating the excised features and making improvements on them which make them more enjoyable and easier to get into. The game’s accessibility is improved, as the game becomes less impenetrable to get good at. As much as I have enjoyed prior years’ iterations, the game can at times be frustrating to get better and good at, but the on-ice trainer definitely makes some elements a bit easier to understand and get used to. The only detriment of the on-ice trainer in that respect is that when you go online, the trainer disappears (understandably). 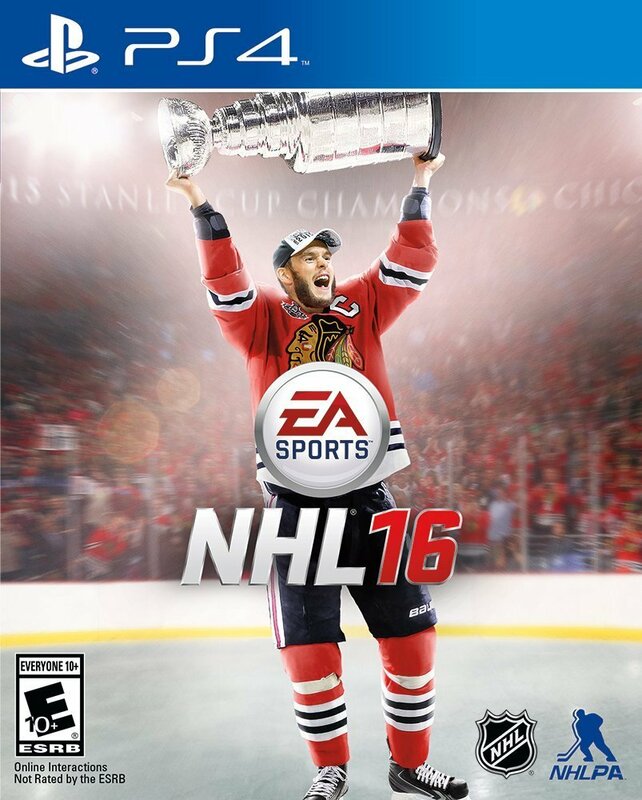 After missing the net by a wide margin last year, NHL 16 is a shot on-target which scores. That being said, it makes NHL16 a curious game, because although yes, it brings these features back, those aren’t necessarily upgrades, just reinstatements that were left off of a previous release.